Kyoto is a city I have been rediscovering for many years and is undeniably one of the best places to point a camera in Japan. In fact it’s hard to take a bad photo – well most of the time anyway. Last weekend I again had the chance to revisit some of my favourite places and shoot with some fresh perspective. Kyoto certain lived up to its inclement climate with Sunday barely registering into positive digits which meant for the most part frozen appendages and a dogged determination to avoid slow onset hyperthermia. According to tripadvisor the Fushimi Inari Taisha 伏見稲荷大社 is the number one sightseeing locale and seemed like a good place to start. By the time I arrived around 08:30 the masses had already congregated which meant to nail a shot without actually someone slinking into the frame took much patience and fortuity especially around the torii at the foot of the mountain. My persistence prevailed and with trial and error I was able to manage some reasonable compositions. What struck me was the actual scale of the shrine. The Senbon Torii or thousands of torii gates actually stretch for many kilometres and have been largely donated by wealthy benefactors including the powerful territorial lord Toyotomi Hideyoshi who bestowed the Roman Gate at the Shrine’s entrance in 1589. Smaller torii gates can be financed for as little as 400,000yen though generally prices sky rocket from there. 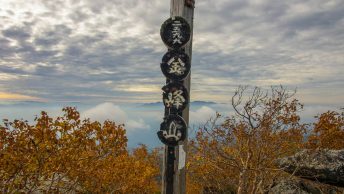 Winding up through the mountain path brings you to the Yotsutsuji intersection which offers a good vantage point over looking Kyoto City. Here it felt like I was contained within a hedge maze with torii seducing me to every corner of the mountain. Thankfully by this point only the hardiest sightseer remained providing a little time for quiet reflection. Heading back I was greeted with a Shinto ceremony taking place inside the main Shrine. Seated through the chicken wire were a group of impeccably dressed elder gentlemen watching the formalities taking place. Their concentration unswayed by the raucous sound of Suzu bells resonating outside as they no doubt reminisced about yesteryear.